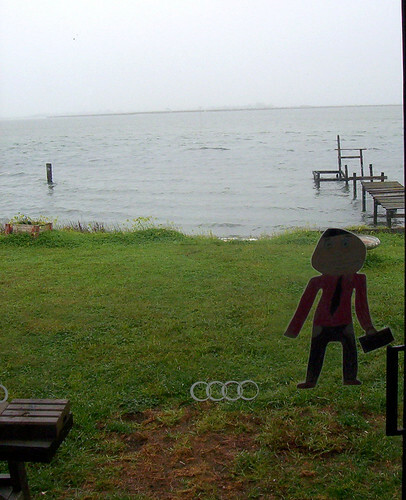 I stayed inside and looked at the water. While looking out the window I saw another bird that looked funny. It was going along the shoreline getting food out of the shallow water. It had a long, thin beak for poking in the sand and long legs for wading through the shallows. 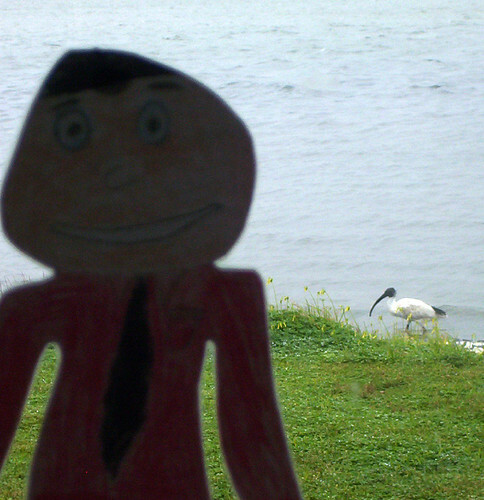 Vicki said it was an Australian White Ibis. There are so many strange birds here in Australia.